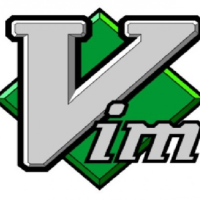 Vim (Vi Improved) in a Unix/Linux text editor. It's an improved version of Vi and is used in most modern Linux distributions from the command line or as an independent graphical user interface application. Vim has two modes, command mode and insert mode. Command mode is where you issue commands such as write, quit, search. And insert mode is where you edit the text file and delete or add characters.